Director Dave Ohlson joins this group’s attempt to summit K2 on the 100-year anniversary of the Duke of Abruzzi’s landmark K2 expedition in 1909. The documentary also examines the history and geography of the Karakoram mountains while contemplating the risks, rewards and personal nature of exploration in an age when there are few blank spots left on the map. K2 is the second highest peak on Earth at 8,611 meters. It is also one of the most dangerous mountains to climb, with its peak eluding even the most devoted professional alpinists. For every four people who have reached the summit of K2, one person has died trying. 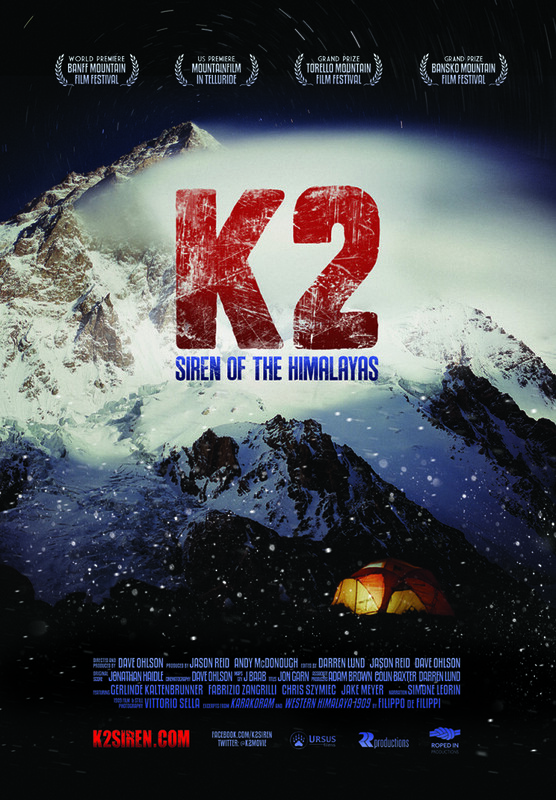 Harsh weather conditions and demanding technical climbing have made producing documentary films on K2 extremely difficult, and footage from these expeditions is rare, especially compared to its slightly taller and more frequently scaled counterpart in Mount Everest. Director Dave Ohlson shot most of the climbing footage with his team on HD digital cameras and 16mm film. Ohlson has partnered with noted Seattle director Jason Reid to supervise the film’s editing and release. Reid’s recent documentary credits include the Emmy® Award-winning MAN ZOU: BEIJING TO SHANGHAI and the Webby Award-winning SONICSGATE: REQUIEM FOR A TEAM.